Are you ready to have fun and head out on the water in one of our boat rentals? Experience the luxury of being on the water with an expert captain at the helm. Half-day and full-day rentals available 7 days a week. The ultimate experience on the water is having no worries or responsibility by having a captain handle the navigating. The luxury of being on the water is most fun and relaxing with an expert captain at the helm. All of our captains are friendly, fun and are committed to making you have the best experience possible for your rental. They are ready to take you wherever you want to go, knowing all the best destinations and guaranteeing the smoothest ride possible on the water. Get out on the water quicker by saving time & money by skipping boating education! Hire a pro who makes the experience that much better! Focus more on enjoying your time with friends vs. navigating! Hire your designated driver so everyone in your party can have fun! Are you ready to head out on your own? Half-day and full-day rentals are available 7 days a week. Click boats below for boat info and availabilities for each! We work very hard to make your experience as enjoyable as possible! When you arrive, a Long Island Boat Rentals’ associate will assist you to assure that you’re taken care of. The ultimate experience on the water is having no worries or responsibility by having a captain handle the navigating. The luxury of being on the water is most fun and relaxing with an expert captain at the helm. All of our captains are friendly, fun and are committed to making you have the best experience possible for your rental. They are ready to take you wherever you want to go, knowing all the best destinations and guaranteeing the smoothest ride possible on the water. 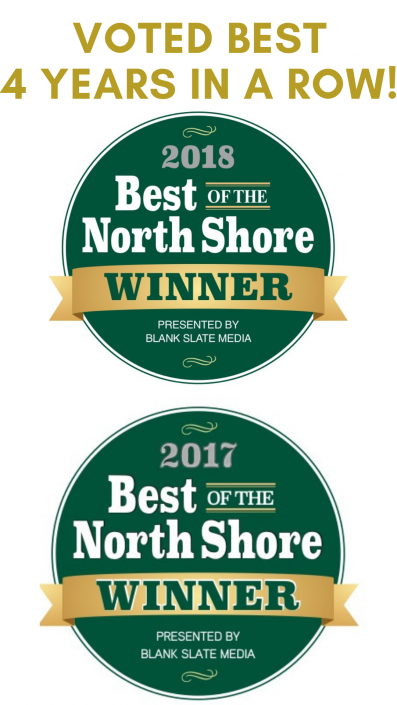 Catch the breathtaking Sunsets on the Long Island Sound with this all included discounted offer for Sunset cruises available on Thursday’s all season long! Cooler packed with Ice and waters with room to BYO Wine and Cocktails! Let’s go for a sunset cruise! 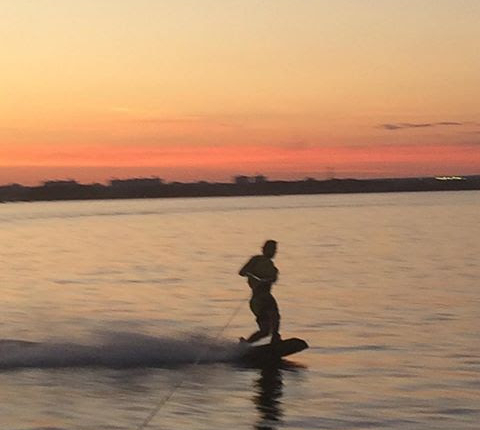 Do it all on this special 3-hour captained boat rental equipped with a wakeboard, tube and water skis all included. 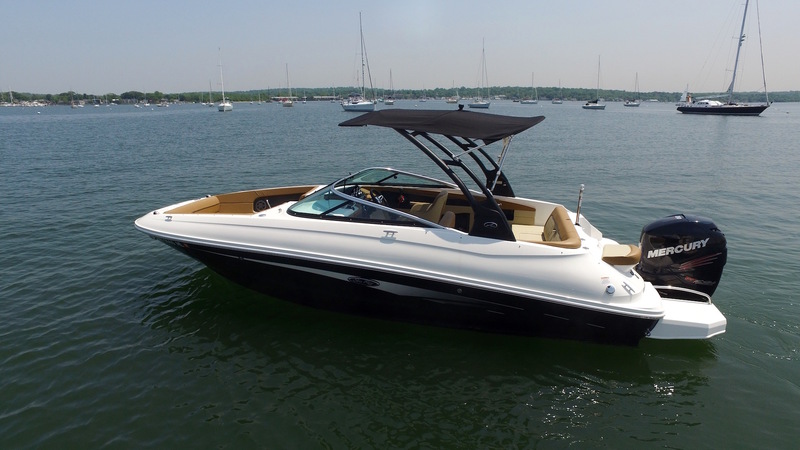 This SPECIAL OFFER is available on the Sailfish, Robalo and Sea Ray 24′ in Port Washington. Let’s go for a rip! 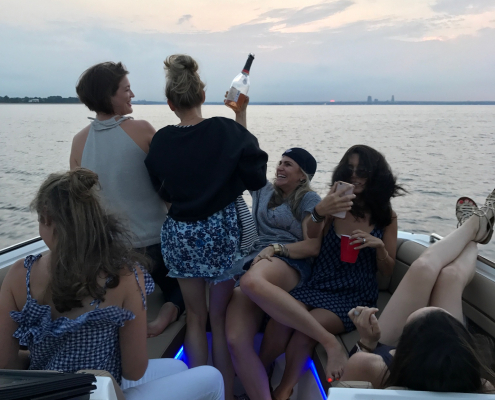 Dinner at Bartaco and Fireworks – Cruise to dinner at the delicious the Bartaco restaurant and then catch the fireworks at Rye Playland! 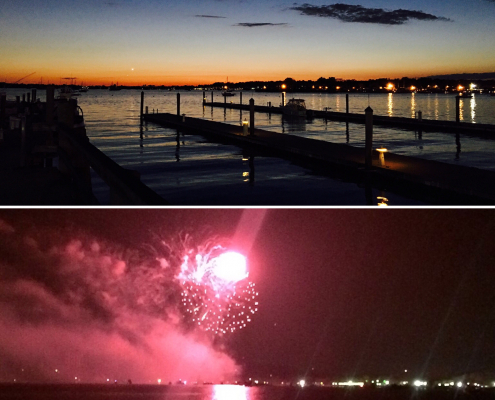 Nothing short of a spectacular and memorable summer evening. Every Friday night from July 4 – Labor Day. We depart from Port Washington at 5:45 PM. Women Crush Wednesdays – It’s never been easier to get the girls out on the boat with this special Wednesday discount for boats going out with only women! 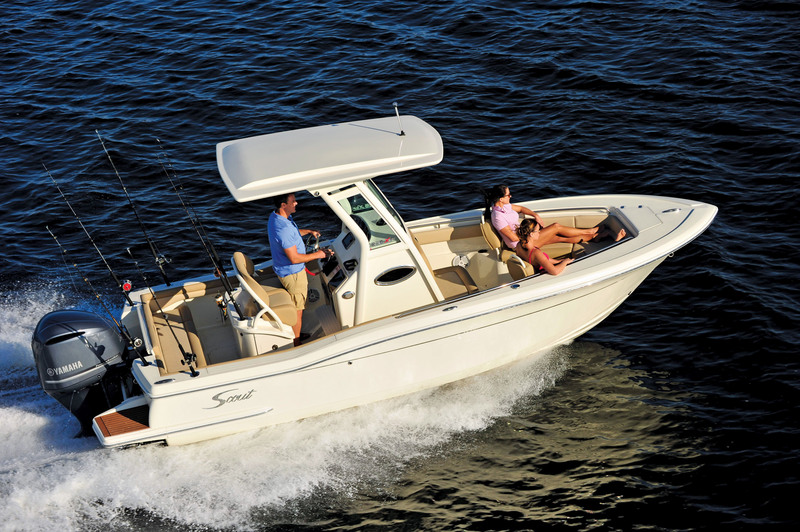 Book this captained boat rental on our Robalo, Grady White, Sea Ray 24, Sea Ray 27, or Scout. Wednesday from 1:00 – 4:00 pm starting at an unbelievable $ 275! Call your crew and lets go! Take a ride out and see Manhattan from another perspective, with unobstructed views and a nice ride with a captain at the wheel. This is one of the most popular rides and it never gets old! Book one of most popular trips! Want to do it right, with style? Take a Captained dinner cruise on one of our beautiful boats and pull up to the restaurant for dinner! 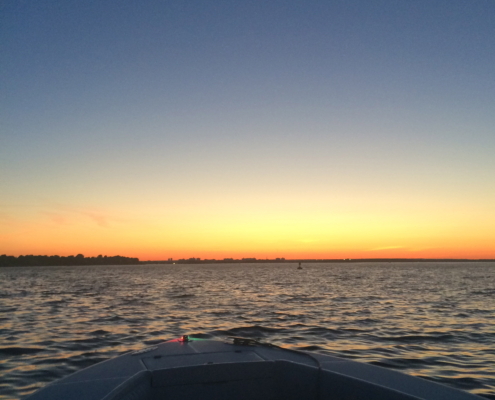 The best time on the water is often after 5 pm! 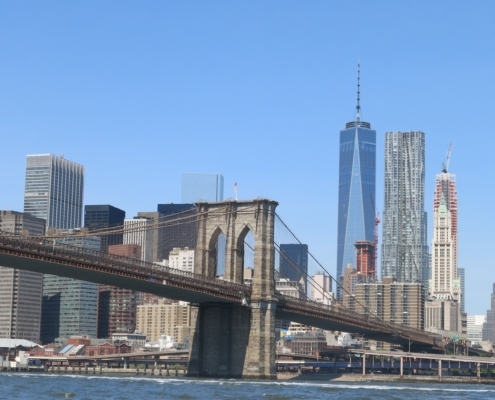 Book A New York Harbor Cruise Today! Take a fishing trip with a pro who will get you out to the spots and provide the techniques to hook the keeper! Fishing trips include bait, tackle and rods! Fishing trips include fishing for up to 6 people. 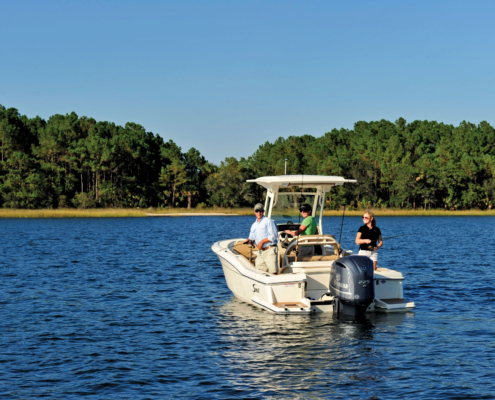 Customers can operate our 13 to 27-foot rental boats on their own, given that the operator meets knowledge and experience requirements. 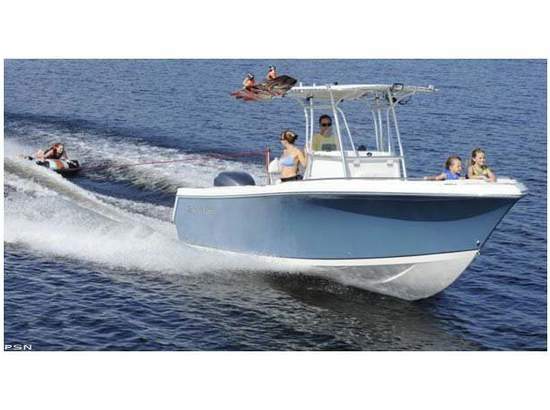 While these rental boats are available for experienced boaters to enjoy on their own, electing to do a Captained Rental is the easiest and fastest way to get out on the water, and many times experienced boaters prefer a captain doing the work for them. 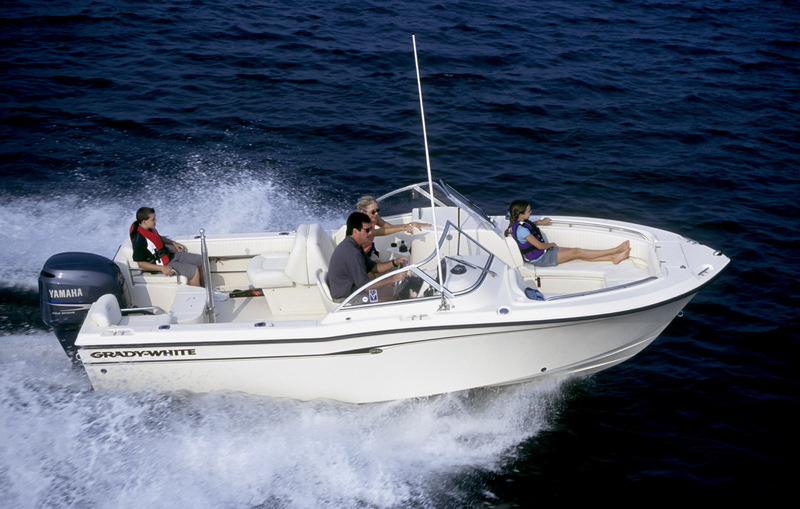 We know that the majority of us have little or no boating experience. In fact, 98% of the people aren’t trained in boating. So for those who would love to become boaters or operate on their own, we have various training options to teach everyone efficiently and effectively. Keep in mind, it is nearly impossible to become a proficient boater in a couple of hours, so hiring a captain may be an quicker solution to getting out on the water. However, taking the time to learn is very rewarding and you will use the knowledge and skills for the rest of your lifetime. Boating certifications don’t expire! Sign up for one of our Powerboat Training Courses! To best accommodate all of our customers, rental boats operate on a schedule between the hours of 9:00 am to 8:00 pm. There are three types of rentals, consisting of Half-Day rentals (3 hrs), Day rentals (7 hrs), and Twilight rentals (7 hrs). Only certain Captained Rental Specials operate outside of these hours. Our Frequently Asked Questions (FAQ) help answer most questions about renting or chartering one of our boats. If after checking out these FAQs and your question isn’t answered – contact us! If there is poor weather during the rental period, we always guarantee that you can reschedule your rental and the credit will be applied to the later date. You don’t lose your rental or your money! In the event that we don’t have rentals on any of the dates you are looking to reschedule, we will likely issue a refund. However, very often we find that the weather forecast is inaccurate or is specific to certain hours of the day and it’s best to check with us before your rental in regards to weather. How many people can I bring on the boat? Each boat has a capacity listed for the number of people that the boat is capable of holding when rented without a captain. 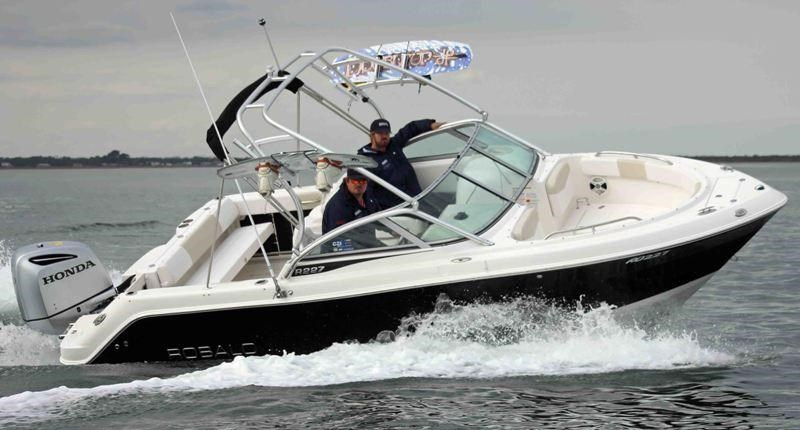 Any boats/yachts with a captain operating can bring up to 6 passengers max. Can I bring a dog aboard the boats? No, for the safety of the dog we do not permit dogs on board our vessels. We always recommend arriving a minimum of 20 minutes prior to your rental. Once you book, you will receive a confirmation email with more information in regards to anything you need to be aware of prior to the rental. Yes. We have a private parking lot at both of our locations. Do I need a boat license to drive? In New York, if you are born before May 1, 1996, you do not need to hold a NY Boating Safety Certificate (informally referred to as boat license). If you are born after it is required that you have a NY Boating Safety Certificate. However, Long Island Boat Rentals does have knowledge & experience requirements in order to operate one of our rental boats. What are the L.I.B.R. knowledge and experience requirements? We require that you have prior experience operating Similar Boats in Similar Waters. Boating in Lake’s and on vacation may be helpful for boat handling, however we believe. Where can I go with the boats? Different boats in our fleet are capable of going different distances as we need to have the boats in range to render assistance if necessary. Most rentals must stay within the Western Long Island Sound. The area boundaries are LaGuardia Airport to the West and Smithtown Bay to the East. Our Renters find there is so much close by that there’s no need to go far to find wonderful destinations. Upon coming down for your rental we will review the boundaries with you. Is the boat filled with fuel? Do I have to pay for fuel? 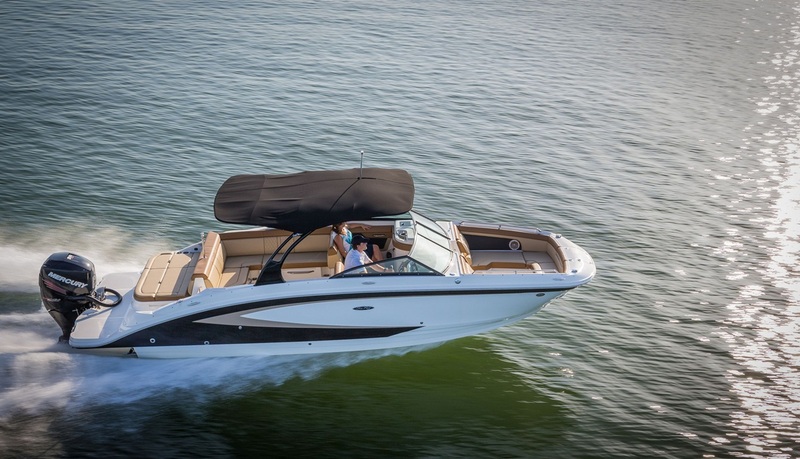 Your rental boat will come with a full tank, or more-than-enough fuel for your rental. Renters are responsible for the cost of the fuel consumed during the rental. At the end of each rental our dock-staff check the exact amount of fuel consumed and will let you know the total amount. No need to waste time going to the fuel dock or at the pump, Fueling the boats is included to save you time and effort! What is the average price of fuel consumed? We can never predict exactly how much you will consume however On a 3-hour boat rental, the average cost of fuel is anywhere from $25-50. Fuel costs are very dependent on the size of the Boat, Passenger weight & engine size. Learn more about saving $$$ and fuel by taking one of our lessons or courses! What is included on the boat? Are there discounts for renting multiple times? Yes. We do offer all of our clients – discounts when you rent 5 times or more in one season. Check out our 5-Pack for more details. What happens if I damage the boat during the rental? All our boats are professionally maintained and are presented. Can I bring alcohol on the boats? Definitely, as long as the driver isn’t drinking it! What are the laws in regards to Boating While Intoxicated (BWI)? The same legal limits apply on boats on the water and cars on the road. Can I do water sports on the boat rentals? Watersports are permitted with written consent of Long Island Boat Rentals. What time should I show up for my rental? Please come no later than 15 to 20 minutes so we can get you out on time! What happens if I am late for my rental? Not a problem, but please notify us if you’re running late. However, the boat does have to be returned at the stated end time of the rental. What happens if I bring the boat back late? We do have late fees that apply for rentals that are more than 5 minutes late.